According to the National Travel Survey by the Department for Transport, adults with a disability made just less than three-quarters of the trips made by adults without a disability in 2014. With such a range of disabilities, the types of holidays taken by each person can be affected in any number of ways; from how one travels to the destination to how you get about once you are there. For example, according to the Department for Transport, those with disabilities are less likely to cycle, walk or use public transport, and those with personal care or balance difficulties are likely never to undertake these forms of travel. 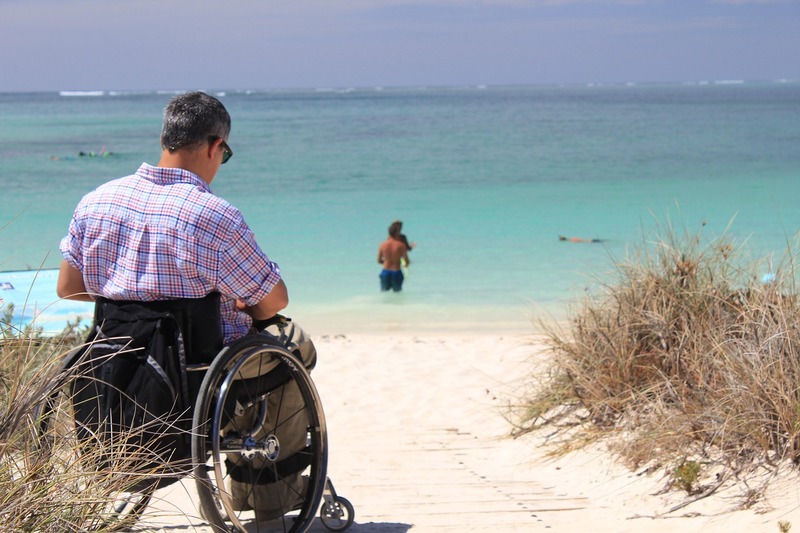 Whether you live with a disability or not, you cannot account for every eventuality when it comes to travelling abroad. Whether you happen to come across a particularly steep hill climb or a lunch venue without wide enough access or a ramp for a chair, things do happen which can cause a blip in your holiday no matter how much you research! However, with careful planning, it is possible to make the most of your time away no matter your disability. 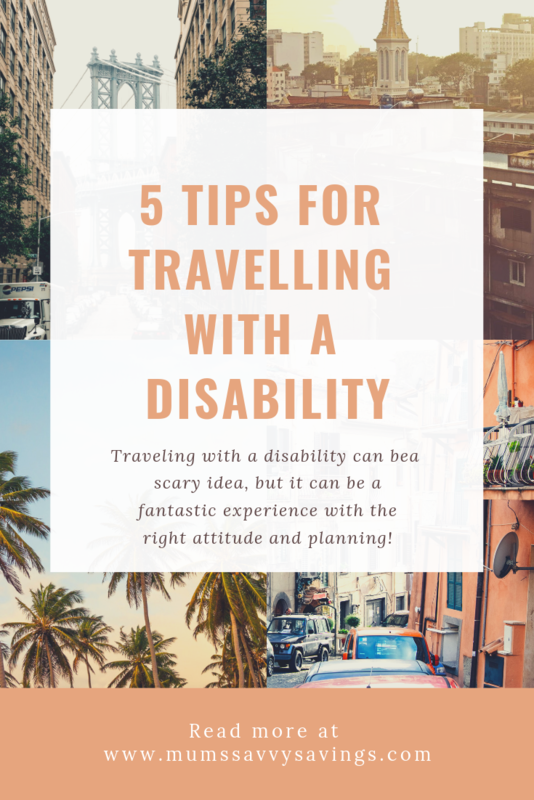 From the simplest ideas such as arriving at the airport two or three hours prior to your flight and carrying a medical card, to researching where local doctors and hospitals are near your accommodation and bringing extra medication, travelling with a disability can be stressful, but with these 5 tips we hope to make the trip a little smoother. Many countries are looking to make their famous sights more accessible. Although this may be harder in older cities, there are significant changes happening around the world so sourcing a travel agent to help you book the right trip will not only help to put your mind at ease about your up and coming holiday, you will also be able to enjoy your holiday from start to finish knowing that there won’t be any surprise issues once you arrive. Spend time sourcing an experienced professional company who know the areas well and can advise you on the benefits and potential pitfalls of specific destinations based on your situation. Obstacles in a town environment could be as fundamental as having pavements without ramps and doors which are too narrow for wheelchairs in hotels. Such things could be so easily overlooked but for someone in a wheelchair, arriving at your destination to find these problems can put a real damper on your trip. Allowing an experienced travel agent to help with your booking means you can source your ideal trip with little or no hiccups along the way. If you would instead book your trip, then it’s all about taking the time to ensure you find the right place to visit and you can do this by asking the right questions. Look at online forums for advice and guidance from your fellow travellers on taking a trip abroad with a disability. They may be able to offer helpful tips and tricks to getting around certain cities, travel advice and the pros and cons of different hotels and you can even ask your questions. Make a shortlist of accommodation and call them to ask if they can meet your needs. Once booked, call again around 48 hours before your arrival to ensure they have made the required arrangements. Accurately describe your disability and related specific needs, giving precise details and instructions. The more you can tell them before you arrive, the better care will be provided upon your arrival and in turn the more smoothly your holiday will go! 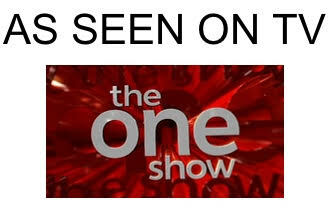 Also, ask if they have any queries or questions too! Any necessary medications which you take including their chemical name, the dosage and amount to be brought with you. A paper copy of a repeat prescription in case you need more medication while you are abroad. Also give a copy of these documents, along with a second dose of any necessary medications, to a friend or travel partner and ensure you both keep them on you at all times. This way, if by chance one of you loses your bag or leaves it at the accommodation your vital information is always available in case of an emergency. There are countries around the world where drugs which are freely available in the UK have been made illegal. For example, any medicines which affect the body’s central nervous system can be considered illegal in some places and as such, doing your research before travel will ensure you do not have your medication seized. Even carrying a medical statement will not enable your medication to move through customs so be sure to check with the embassy of the country you are travelling to for full guidance or go through the information which has been summarised and made searchable here. Before you travel contact the company you have booked with and let them know your full requirements. For example in the case of mobility aids such as scooters or wheelchairs, an airline would require specific information such as the make, model, size and weight of the item. They will also most likely ask for the number of such items you are bringing so that they can accommodate them in storage. Also considering taking spare parts for your chair and discuss with the airport how best to transport this. If you require medical equipment to board the aircraft for use during the flight, you will need to discuss potential issues such as whether it requires electrical supply or if the equipment can be battery operated. Whether you are going by plane, train or boat, each company will have their requirements and questions, so it is important you speak with them before arriving to avoid disappointment or any delays on the day. For dedicated, medical support before you travel, book a free and confidential appointment from the comfort of your own home online or on Skype with the doctors and experts at Click Pharmacy.